Our team is made of the wonderful individuals who give their time to further our mission as staff, board members, and volunteers. Get to know our team and help us reach more families through mentoring and Playscape programs. Kate grew up in the mid-west and has been a social worker for over 25 years. When she moved from Chicago to the northwest in 1993, Kate became involved in developing and managing programs for homeless and at-risk youth — including youth in the foster care system. She then worked for a number of years at the University of Washington’s Northwest Institute for Children and Families, evaluating community-based social service and educational programs. Recently she has worked on public policy issues affecting vulnerable children and families. Kate has also served as a board member and consultant to a wide variety of not-for-profit organizations. As a parent and a community member, Kate is passionate about bringing together parents, families and organizations to give our children the best head-start that life may offer. She is honored to be part of Mother Mentors and to work in her own community with such a wonderful group of mothers, fathers, grandparents, caregivers and volunteers! Diana has enjoyed a long and varied career providing developmental therapy to infants and toddlers before moving into health policy and systems development with the Washington State Department of Health. After working for the State, Diana went to work for the University of Washington as a founding member of Promoting First Relationships (PFR), a strength-based, reflective approach to parenting that believes that the best way to nurture a child’s growth and development is by nurturing the relationship between the parent and child. As a parent, she has integrated her experience with children’s spiritual formation and her own integral leadership development. Now living on Whidbey Island, Diana continues to be called to work on behalf of children and families and feels honored to serve on the staff of Mother Mentors. Elizabeth Willis has a background in elementary education. She holds a BS degree in Early Childhood Education and has experience as a preschool teacher. The Navy brought her to Whidbey Island and, after 8 years, she now considers the Pacific Northwest to be ‘home’. Her most important job is being a mother to her two young children. Elizabeth is passionate about caregiver support and the importance of community support in raising children. She loves being able to connect caregivers to other caregivers going through the same experiences, as they raise young children. Just knowing someone else ‘gets it’, makes all the difference! She loves the opportunity that Playscape gives her to establish those vital support connections in her local community. Pat Burtner-Freeman is a pediatric occupational therapist, who currently works part-time at Toddler Learning Center of Whidbey Island. She is honored to be a Board member of Mother Mentors, knowing on a personal level how individualized support can make a huge difference. She is Professor Emeritus in the Department of Pediatrics of the University of New Mexico Health Sciences Center and has received awards for her original research and teaching. She has been recruited to provide international consultation/instruction for health professionals in Romania, Russia, Mexico and most recently Sri Lanka. Throughout her career, Pat provided services to families of children with disabilities. The time spent with families of young children was always grounding and provided direction for her classroom instruction, as well as for her grant and publication writing. Sieb Jurriaans and his wife Cary immigrated from Holland to the US in 1974 and have lived in the Seattle area since 1982. Most of Sieb’s career was in banking, working in Amsterdam, Chicago and Seattle until he acquired a telecommunications company in 1993. After his retirement, Sieb and Cary followed their son Sieb Jr. and his wife Jenn to Langley and started the Whidbey Island Fine Art Studio. Besides their Langley-based son, they have a daughter living in Bellevue and a son in Brooklyn, NY. Sieb served as Treasurer for the South Whidbey Children’s Center in Langley. Kristin has been a passionate supporter of young mothers since she was a mother herself, isolated, overwhelmed and unsupported. Her passion comes from not only her own experience as a mom, but as a child from a loving and caring family, who believed in serving the community around them. Kristin has a degree in Political Science and Education from the University of Washington. She has served on the Board of Trustees for Cornish College, United Way of King County and the League of Women Voters. She is a weaver and textile artist. Her greatest challenge in life has been raising 3 little girls, born in the first 3 years of marriage. Her next challenge has been to support unconditionally those 3 women as they raise their own children. Linda became a mom while still a teenager. She started college as a mom with a nine-month old son and a need to work to help finance her education. Her early marriage and family experiences led her to pursue a career in marriage and family therapy and education. After earning degrees from Purdue and The Pennsylvania State University, she earned her Ph.D. from Florida State University as a single parent while working full-time running a rural Florida mental health clinic and maintaining a part-time private practice. After remarrying, she pursued an academic and administrative career, mostly at Miami University of Ohio, starting their first women’s center, then as a Professor teaching 24 difference undergraduate and graduate family focused courses, researching and publishing in her field, and heading up two different academic departments before retiring and moving to Whidbey Island. Scott Wessel-Estes started his legal career as a Deputy Prosecuting Attorney. Following his involvement in cases related to child abuse, and becoming a father, Scott began work as an Assistant Attorney General representing Children's Administration. He has dedicated his life to working for children, and was very active as a Youth Advisor and a facilitator for the "Our Whole Lives" sexuality education program for children and youth. Scott and his wife, Pamela, are the parents of two children, Seth and Brianna. Now that their children have "left the nest," Pamela and Scott moved into their dream home on South Whidbey in the Spring of 2016. Scott continues his work on behalf of children through the Attorney General's office, and is also excited about the opportunity to be on the board of Mother Mentors. Scott is an avid hiker, although he now spends more time 'beach combing' and just being at home. Lauren began college with the expectation of following her passion for art and dance. A part time summer job working with young children with special needs changed all of that! A new passion was ignited and a 37 year career was born serving young children and families. Her first role after receiving her credentials was as a home visitor for families of infants with special needs in rural Sonoma County, California. She would not become a mother herself for another ten years. These first families have remained HER most cherished mentors. Lauren’s career included designing and implementing inclusive early childhood programs and teacher training and support in family centered practices and developmentally appropriate practices in both California and Washington state. Lauren and her husband moved to Whidbey Island in 2003 where she served with the Oak Harbor School District and Head Start until her retirement in 2012. Art and dance have continued to be central in her life along with being graced with 3 beloved grandchildren, and adventuring at home and abroad with her husband. Being able to join Mother Mentors has been an honor in continuing a lifelong commitment in support of healthy and nurtured beginnings for young children and their families. Children continue to be her most creative teachers! Every non-profit organization requires a strong network of support in order to thrive. Mother Mentors is a relationship-based program so we value the time and energy invested by our volunteers. 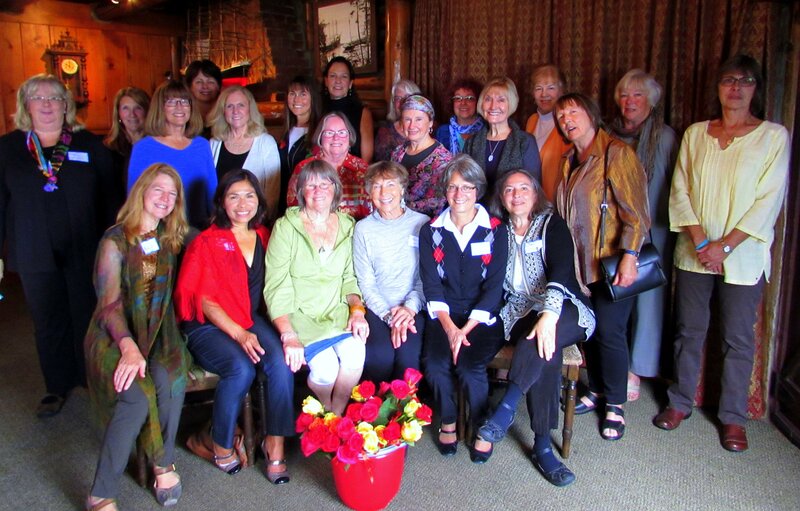 The women and men who volunteer in support of our Whidbey Island families are committed, caring, wise and wonderful people with a deep desire to partner with parents in the important work of raising healthy, happy human beings. Being a volunteer can mean everything from a retiree who spends two hours a week with a family to some of our founding Board members who rolled up their sleeves and made a full-time job of creating the programs we provide.